You can also upload a catalog header logo and catalog badge logo, as well as a browser favicon. For details and specifications, please view the Canvas Catalog Logo Guidelines PDF. Note: Unless a subaccount specifies its own logo/favicon, logos/favicons uploaded in the parent account apply to all sub-accounts. To open an existing catalog, click the name of the catalog. To add a subcatalog, click the Add Catalog button. You can upload a header logo, badge logo, or favicon. To upload an image, locate the logo type and click the Upload an Image button. Once you have located your photo, you can crop your photo if necessary. Note: You can also paste a URL to an external template file. 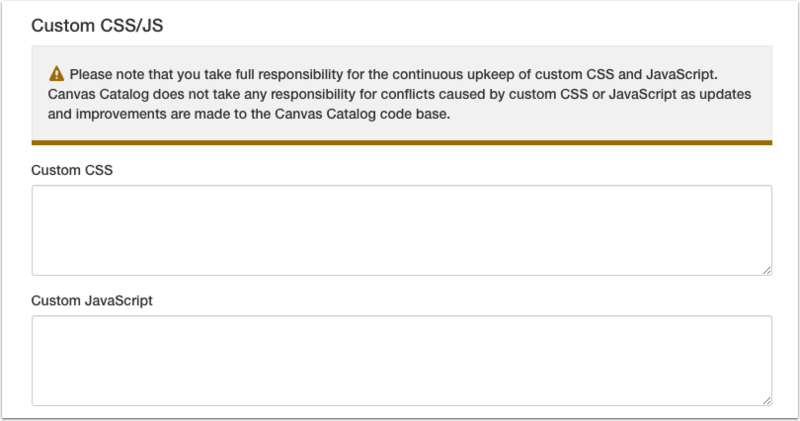 To add HTML for the email header and footer, paste the respective code directly into the appropriate fields. You must include HTML for both the header and footer. 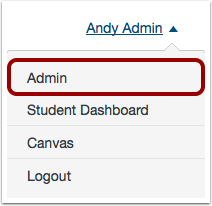 Previous Topic:How do I add a user defined field to customize catalog registration? Next Topic:How do I manage categories for a catalog?